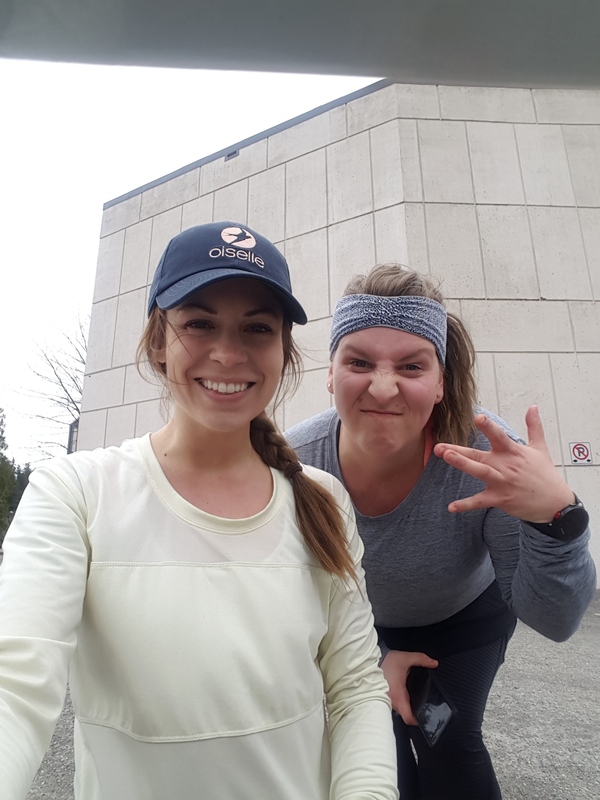 training recap April 3rd-9th & the Prince Rupert Half Marathon! 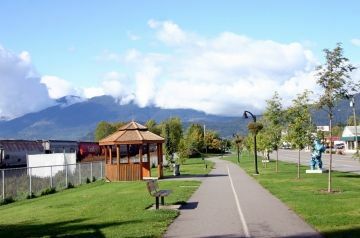 8km easy – Grand Trunk Pathway in Terrace BC, gorgeous TANK TOP weather! This was a hard day for me and I’m sad to say I quit early. It just wasn’t happening, I got to the second interval and after a long internal argument I jumped onto the side rails and called it quits. I planned to try again later at the track, but then opted for an easy 8km with my Tenacious 10 partner Whitney. At the end of the day, I really wished I could have given those intervals another go, but after the first attempt which was about 6km, + the 8km with Whit, I was tired so I slept. In the grand scheme of things, will this affect my performance at my #1 goal race of the season, the Calgary Marathon? Probably not. Coach said it’s all good. Hoping for a confidence booster from my next hard workout which comes on Friday. Moving on! Non-running day! One hour of easy yoga was my intention, but that didn’t happen. Jess and Michelle, the PR 1/2 + 8K race directors, myself and Emma were busy putting race packets together and getting organized for Sunday. 6 miles easy at Lakelse Lake! One of my favourite places on Earth ❤ felt good, but slightly heavy. Look at this place! The 4 miles back felt impossible. Took a couple breathers which discouraged me, but all in all an excellent workout. Planned: 14 miles (22.5km) nice and easy. Coach Andrew changed this to 10 miles on Friday night due to the struggle on Friday and the half-marathon on Sunday. It was definitely smart and worked in my favour. We are also going to Skype next week and talk about dialing back the weekly mileage just slightly, since the last increase has seemed to cause quite a bit of fatigue. Ran with my girls Sam and Jess. Jess is co-director of the race this Sunday here where we live, and training for her first half on May 7th! 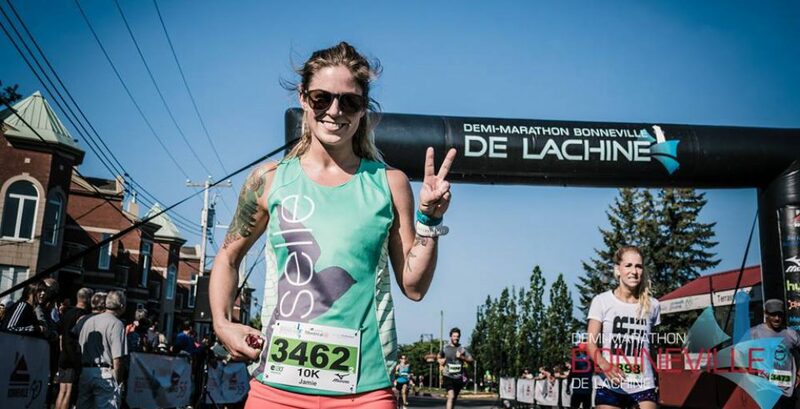 She’s running the BMO Vancouver half and it’s a REALLY good one! I hope the weather for her is better than it was for me in 2014. This run felt great. Amaaaazing sleep on Friday night!!! Then we headed to the Civic Centre for race registration and packet pickup. Prince Rupert 1/2 Marathon! I planned to run to be part of the day and our running community. Running by feel was the plan since it hasn’t been a goal race, and I’ve had some pretty burnt-out feeling workouts lately. We met early, set up the awards area and then headed out the highway to set up the race course. Coach didn’t delete the training run on Saturday to accomodate this Sunday race. Saturday & Sunday combined serve as a long run; a high mileage weekend in preparation for the Calgary Marathon! BUT, it was one of those perfect days and everything felt amazing. I felt rested and excited but calm at the same time, and I ended up just shy of a SEVEN minute PR in the half marathon distance!!! BEYOND PUMPED!!!! Such a great check-in with training progress and a crazy confidence booster for my two upcoming races. Could not be happier!! I have mixed feelings about racing on the highway here where we live, because it’s where every single long run happens every single weekend! Our races are also very small, which obviously feels different than a massive event. This time, however, I tried to see it as a good thing, knowing the course inside out, instead of thinking about it as a drag, knowing where all my least favourite or most challenging segments are. I also reminded myself that I race against myself, and that can be done in any setting. As commonly happens, myself and many others went out from the starting line a little too quick, but I was super conscious of this and started to hold back soon after starting, to get my heart rate and lungs under control along the first incline. I like to use the McMillan Running Calculator to get a rough idea of the pace I should be okay to run on a day when everything is feeling good, and that was a 5:16/km so I stuck around 5:20 for the first third of the course since everything was feeling REALLY good!!! The “big hill” which is what you see in the middle of the course, is a doozie. Going down is great, and I was sitting at a 5:15 average pace after going down it, but after the halfway turn-around I refused to look at my watch going up that hill. I told myself to just run by feel and keep pushing and doing my best, and that I was allowed to look at the overall average pace once the course had levelled out again for a bit! I worked my way back to a 5:19/km average by about 17km and then during the last 4ish kilometeres there are some decent declines, and I found some extra gas and kept at it really strong. I just about caught up to the two girls in first place, and in the last 800m or so I tossed my water bottle and literally bolted to chase them down. I can’t believe my 21km split was 4:11 ahaha what the!? Stealing the win didn’t happen, but that was truly my best effort and I have NO REGRETS, which is a powerful mental tool I’ve learned from following Kelly Roberts. Our club was gracious enough to award TWO gold medals to Erin and Jessie, who finished holding hands and tied for the female winners, so I ended up with silver!!!!!! WOOOOOO! myself and Jessie, one of the TWO gold medal winners!! I have never run that pace for that long and I feel really good about this!!! Bring on the next races!!!!!!!!!!!!! Amazing Sunday to finish off a week that felt slightly shakey. I can’t wait for Seattle in less than 2 weeks! Two weeks out from the Tenacious Ten! Seven weeks out from the Calgary Marathon! When you hear “Florida” what do you think of? I think of heat, humidity, palm trees, Miami by Will Smith and Dexter. After the lightning and rain storm yesterday, cold weather came in fast and I’m still in shock! It was close to zero degrees Celsius and the wind chill was crazy. I knew it had seriously cooled off so I added a thermal layer on top of my throwaway shirt and brought a garbage bag for a wind breaker but I was not even close to adequately prepared (and neither were 75% of the other eighteen thousand runners.) Who knew freezing in Florida was a thing. Serious Tip: ANYTHING can happen on race day. I thought I understood this but was proven wrong. For real, to have been comfortable this morning from exiting my Uber (3:45 am) to actually starting the race from corral H (6 am), I would have needed an additional throwaway toque, gloves, jacket or thick blanket and sweats or jammie pants. It was FREEZING. It was colder than the Historic Half in Vancouver on November 28th! Mind: blown. On a positive note, the gear-bag check was super fast and easy, which was my first task after arriving to Epcot for the fourth and final race. Huge compliments to runDisney on the organization. I don’t think it was necessary for me to go quite as early as they suggest, but personally the idea of being late is too stressful for me. To avoid freezing, after a quick pic with Dopey himself I joined in at the pump-up stage where the DJ was directing a massive Macarena HAHAHA! I also hid in a couple Porto Potties for a few minutes here and there to escape the wind. Then I joined the crowds huddled by some patio heat lamps that weren’t even on (LOL) and met a dude from Edmonton who’s teeth were chattering as much as mine. It was honestly brutal. It was a long wait til corral walk-out and when it was time to head out I was grateful to be moving and jogged pretty much on the spot, shuffling along with the massive crowd for the 15 minutes it took to get there. Thankfully the race started efficiently (sent of by Mickey with fireworks for each corral!) at 5:30 and I was across the start mat by 6. The castle was so pretty I really did actually cry. It’s hard to explain the emotions in your body during a huge run like this but it’s REALLY overwhelming. For example, in the corral there was a woman running her very first marathon and when our starting fireworks went off she started happy-crying and hugging me and we had met 30 seconds prior. Or during my first marathon, BMO Vancouver, I started crying in the first 500 meters running down Cambie Street just realizing that I trained for this and was going to accomplish something huge. The sun was just barely up and Magic Kingdom was lit up with frosty lights from the holiday season and the most beautiful thing of the entire weekend FOR SURE. This was the first place with massive spectator crowds and it was so overwhelming. 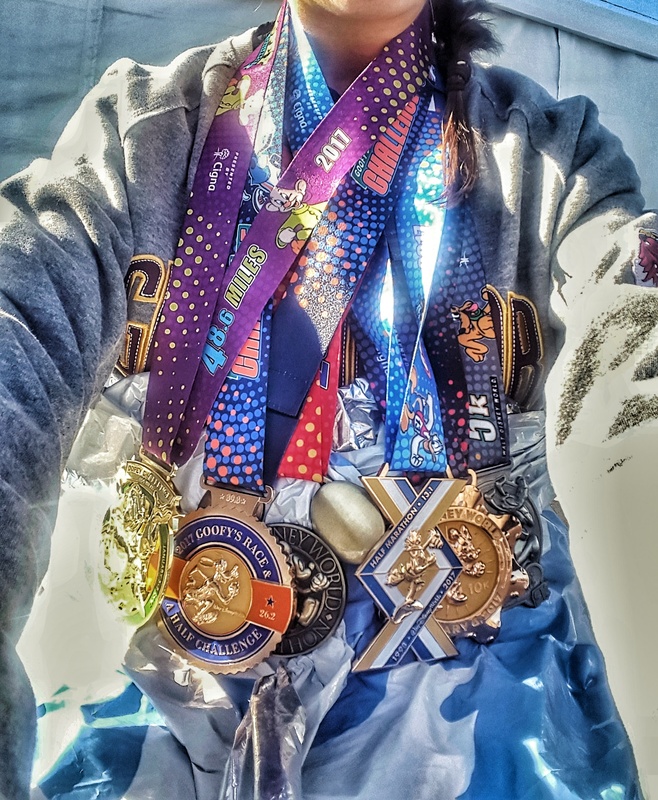 People who go out to marathons to cheer should be recognized because it is one of the most inspiring parts of running one! At all different sections of the course there were characters, gospel choirs, varsity teams cheering and marching bands and cheerleaders, stilt performers, acrobats on trampolines and thousands of spectators. The course starts at Epcot, goes through Magic Kingdom, Animal Kingdom, ESPN Sports Complex, Hollywood Studios and ends back at Epcot. I am so impressed with the number and quality of aid stations. There were 19 in total I believe and all had Powerade and water, and some also had bananas, Clif shot gels and even candy!! I think I ate a total of 2 bananas and a package of M&Ms during my run which was extremely helpful. As well as my own gels and Honey Stinger Gummies, I tried the raspberry Clif Shot and it was like getting Lucky Charms as a kid when you have Shreddies parents. YUM. I’ll be buying a case of those. There were also certain stations where the volunteers were handing out little popsicle sticks with blobs of Vaseline and for this I am extremely grateful because my inner arms were chafing like a b!+*# and it was getting hard to ignore. Again, anything can happen on race day. I don’t usually use Body Glide on my inner arms. Suprise. Towards the last quarter of the race we ran through ESPN Wide World of Sports Complex and through a stadium with a big screen showing all the runners and there were lots of people in the stands cheering and supporting. This was around the infamous 32km (20 mile) mark of any marathon. I was struggling at this point and the spectators are one of the biggest things that helped me keep going. As was the case in the last full marathon I ran in October (Goodlife Fitness Victoria Marathon) the last 10km were very difficult for me. I took lots of 15-30 second walk breaks and told myself that running slow is faster than walking, and that I could break 4:10 if I pushed. Turns out if I had done a better job running the tangents I definitely could have made that goal. Dammit. At the finish line my Garmin clocked 42.76km, so I ran an extra half-kilometer due to the twisting of the course and the weaving around runners at a slower pace than mine. Regardless, I am overjoyed with a time of 4:11:27 and 103/1523 runners in the Women’s 30-34 division, and in the top 12% of all 17,729 runners! Wooooo!!! It does not get old haha, my throat closed up after crossing the finish line and I started to ugly-cry a bit while feeling pretty much the happiest and most proud feelings that exist. 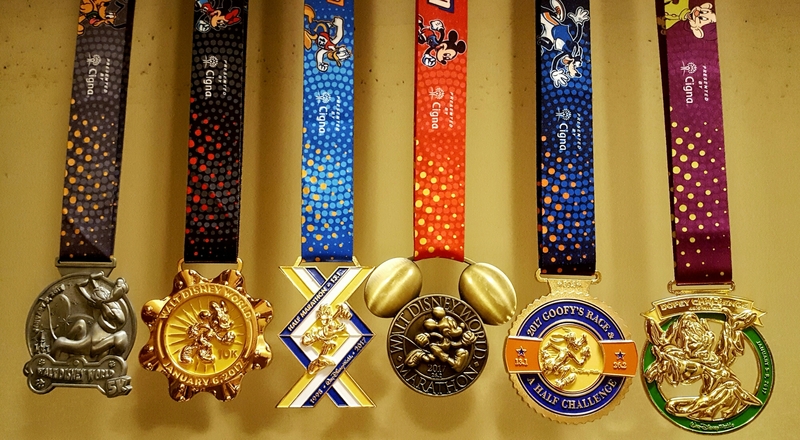 Volunteers presented us with the Mickey marathon medals right away and after the sports drinks and water section the Goofy and Dopey Challengers got to receive the 1/2 marathon medal from the cancelled race on Saturday (yahoo for every person who ran their own unofficial half!) and the Goofy and Dopey medals! Because I am a nerd I brought the 5km and 10km medals in my gear bag so I had all six with me!! Gear pickup was even easier than check-in and I think knowing this now I might have even checked a bag for the 10km race on Friday. Impressive. A note about your gear bag, pack more than you think you might need. I was pretty good with my long-sleeve technical Dopey shirt, a thick new Gryffindor sweatshirt (LOL,) my favourite Oiselle toque and the space blankets they hand out, but the way the body cools down after running for that amount of time, I could have used a parka and snowboard pants considering the Florida temperature that I didn’t know existed. I didn’t allow myself to get distracted and forget about recovery, and chugged a sports drink and a water and ate a protein bar and a banana. I stretched in the reunion area, and then again at home and warmed up thoroughly and put on a super warm outfit. All day long I made sure to hydrate and snack, and on the plane (omg. Do not fly home the day of the marathon. Why do I always do this??) I got up to stretch my legs as many times as possible without being an A-hole to the guy sitting in the aisle seat. Over 24 hours after getting up on marathon morning I got to the the Fairmont YVR at 2am after a delayed flight from SEA-TAC to Vancouver and had the most glorious birthday sleep in a king bed. GLORIOUS. To wrap it all up, Walt Disney World Marathon Weekend is INCREDIBLE! True, a lot of the running isn’t right in a magical park, but it isn’t possible to map out courses of that length all within the parks because they aren’t big enough!The courses are mostly flat with just a few small hills going up overpasses or over bridges in the parks. 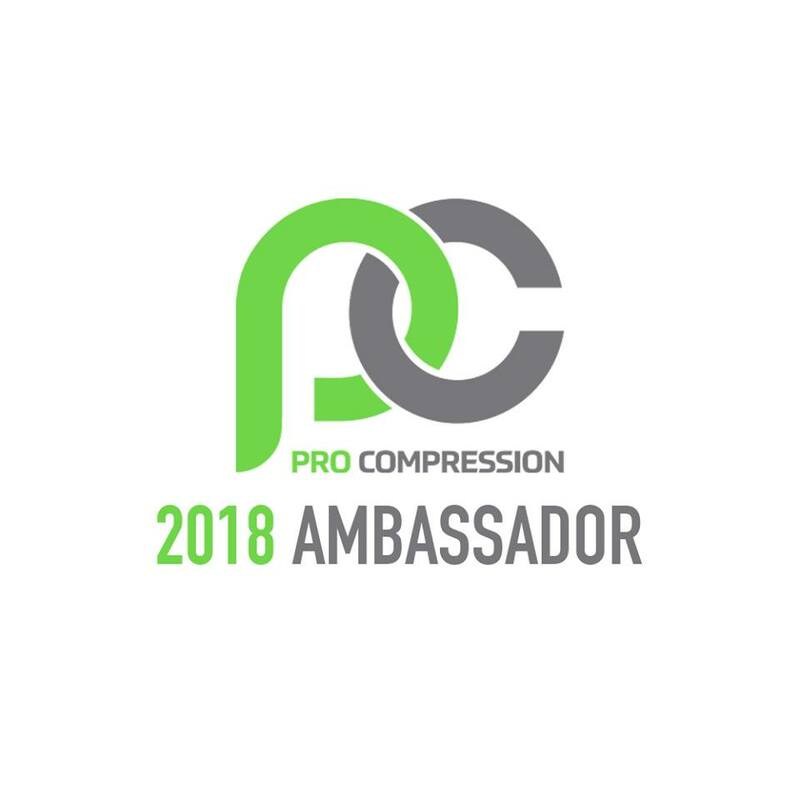 The energy of all the events is unexplainable and the expo, official race gear, organization, volunteers, aid stations, cast-members, medals and finish-line support is absolutely amazing and all very well organized. The time change was a bigger issue for me than expected. I slept a lot after each race and I didn’t do nearly as many activities as I thought I might while visiting the Orlando area, but I came here to do my favourite thing which is RUN and I got everything out of this trip that I wanted, and more. If you are planning a runDisney event in Orlando, let me know! OH, and my friend Lindsay always wants to know what the post-race meal consists of, so let me tell you, the lobster eggs benny at SoCo in Orlando was possibly the best thing I’ve ever eaten.